This package contains precisely manufactured cardboard panels (300*420mm) with calibration patterns in different sizes, as they are required for 3d scanning with DAVID-Laserscanner. SKU: CP-SET01. Categories: Accessories, DAVID Supplies. The base plate (300*300mm) with aluminium rails allows for a convenient and stable setup of the panels in a precise 90° angle. Base plate and panels consist of 3mm thick, sealed cardboard. The four calibration panels have grid sizes of 30mm, 60mm, 120mm, and 240mm, respectively. They are suitable for scanning objects of sizes between approx 50mm and approx 300mm. 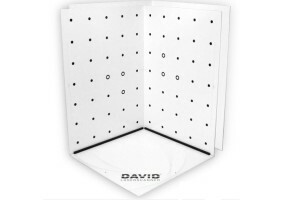 Note: Enter the respective grid size into the DAVID software before calibrating the camera. 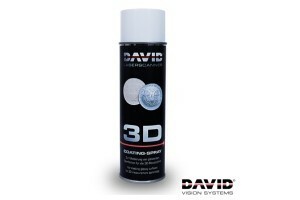 The 3D Coating Spray is a ready to use suspension of white developing particles in a fast drying solvent. It produces an opaque white coating to prepare shiny, translucent or very dark objects for a 3D scan. Simply spray a thin layer of whiting onto the surface, which will make it matt and bright. A thin layer will even preserve fine surface details below 0.2mm. The whiting can be washed away easily with a brush or water and sponge. This software allows inexpensive 3d scanning of objects and surfaces. 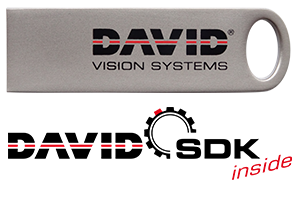 The mightiest software package is the DAVID 4 ENTERPRISE version. Beside the well known DAVID features it offers you several measurement tools to make capable quality inspections. To automate those features, a main part of this version is DAVID SDK. 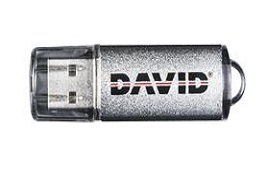 It allows you to include DAVID into your own hardware/software environment. You can automate the scanning and analysis process, or wrap it into your own graphical user interface. Multiple scanners and client software can be distributed over various computers and operating systems, communicating via Ethernet or Internet. 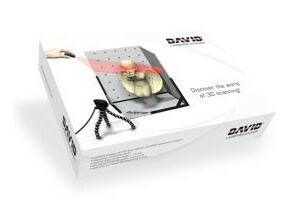 High-precision 3D scanning at an unbeatable price: Experience the innovative DAVID LASERSCANNER 3D scanning system!